Muhlenberg Alliance for Progress hosted their 2nd Annual Community Informational Meeting on October 17, 2018 at the Felix E. Martin Jr Hall. Information was shared about business prospects & expansions, infrastructure needs, and the room was filled with many who “Believe” in Muhlenberg County. 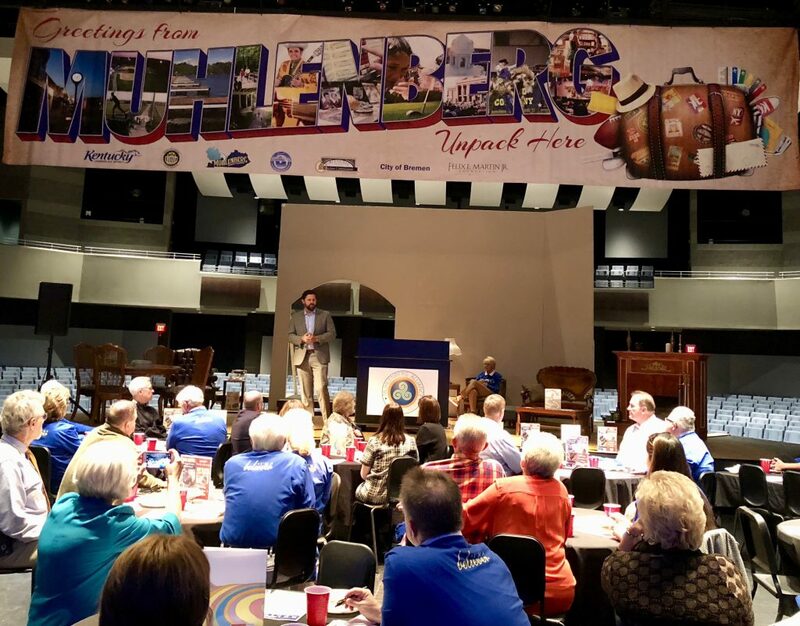 John Bevington, formerly the Commissioner for Kentucky Cabinet for Economic Development, currently the Economic Development Director for LGE – KU was the Keynote Speaker. Approximately 85 were in attendance. Professional economic Developers will tell you most job creation comes from existing businesses and industries. Some experts say up to 80% of newly created jobs come from existing business and industry expansion. Even though Muhlenberg has not had the good fortune to land a nice new factory in our Paradise Regional Business Park, we have had the good fortune of existing businesses and industries expanding. Central Screen Printing moved into the former Pogue Automotive Chevy store in Central City resulting in fifty new jobs. Brewco Marketing Systems worked with the state Cabinet for Economic Development to purchase a building and enlarge their workforce. Most recent StrikerBilt moved into the warehouse space formerly used by Wing Supply in Greenville and are in the process of expanding their workforce by 30 to 40 new jobs. These jobs will be welding and machinists positions. The Cabinet for Children Services will be moving to a new location next to Plastic Products early in 2019. This move will create possibly up to 35 new jobs. Expansion of existing industry and business depends on a trained, educated and available workforce. The Muhlenberg Alliance for Progress and the Felix E. Martin Jr Foundation supports local business and industry through the Work Ready Community Initiative. Muhlenberg is moving very close to being fully Work Ready certified at the state level. Accomplishing full Work Ready certification will help our industries know there are available workers who the skills they need to support their expansion. Madisonville Community College (MCC)has introduced a new lineman program. 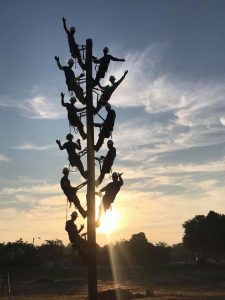 The training is an eight week intensive study of lineman work including climbing power poles, using a bucket truck and safety training among other curriculum. Before MCC started the classes anyone from West Kentucky had to travel to Eastern Kentucky to secure this type of training. The three students who graduated in the first class have gone to work for Groves Construction in Madisonville. Since Hurricane Florence has caused so much destruction along the east coast the demand for lineman will likely go up. The lineman training is a great opportunity for any student coming out of high school and has no desire to go to college to secure a good job. Starting in fall 2019, Muhlenberg County High School students will have opportunity to enroll in Advanced Manufacturing classes. 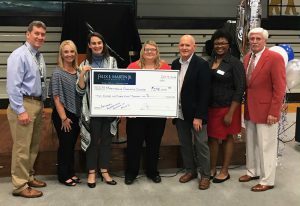 With a $298,000 grant from the Felix E. Martin Jr. Foundation, Madisonville Community College will partner with Muhlenberg Count High School to equip a hands-on lab for the program at the west campus of Muhlenberg County High School. 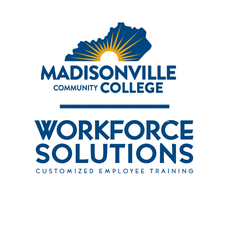 Using a classroom model in which online instruction from faculty at Madisonville Community College will be supplemented with hands-on lab work and skill demonstrations, MCHS students will be able to earn the 8 credit-hour Skilled Operator credential while still in high school. In addition, students will qualify to test for multiple industry-recognized certifications from the National Institute of Metalworking Skills (NIMS). Graduates of the AIT program at MCC are typically placed as multi-skill maintenance technicians who are able to install, maintain, troubleshoot, repair, and inspect diverse state of the art equipment and systems. “The proposed Advanced Integrated Technology training at the high school will fall right in line with what the state is looking for in their targeted sector jobs. The state estimates there will be 846 jobs available in the next five years in Western Kentucky in Advanced Manufacturing. This will include machinists, industrial machine mechanics and team assemblers. Having this program at the high school will be invaluable for economy development. It is another piece of the puzzle that will make Muhlenberg County attractive to industrial prospects,” remarked Muhlenberg Alliance for Progress Director, Gary Jones. As the economic development headquarters for Muhlenberg County, we feel it’s important to encourage and have resources available to support entrepreneurship. Three sets of entrepreneur classes were offered that cons isted of six weeks of learning various business topics such as: 1) Choosing the Right Business, 2) The Business Plan, 3) Creating a Vision for your Company, 4) Marketing and Operations, 5) Financial Plan, and 6) Execution: Making the Plan Work. Grant money was obtained from the United States Department of Agriculture and the Felix E. Martin Jr. Foundation to provide free entrepreneur classes. Students completing those classes were eligible for micro-loans to help start their new business. Classes consisted of information about a business plan, marketing of your business, choosing the right business, and a vision for your business. In addition, a one-on-one business builder course was offered and a lenders panel was made available to help new entrepreneurs understand finance an business banking. In addition to the six week business courses, other entrepreneur classes were offered that provided additional support to current business owners to improve their accounting and marketing strategies. Those classes were Gorilla Marketing, One-on-One Lending, QuickBooks, and Marketing Strategies.